The vibrant graphics make and intuitive design makes using the app an enjoyable experience. The main menu is organized by “simple machine”. When you click on an icon, the app takes you to an environment to learn how the select simple tool works. Example: In the screw section, users swipe left or right to twist the screws to raise or lower the fish tanks. 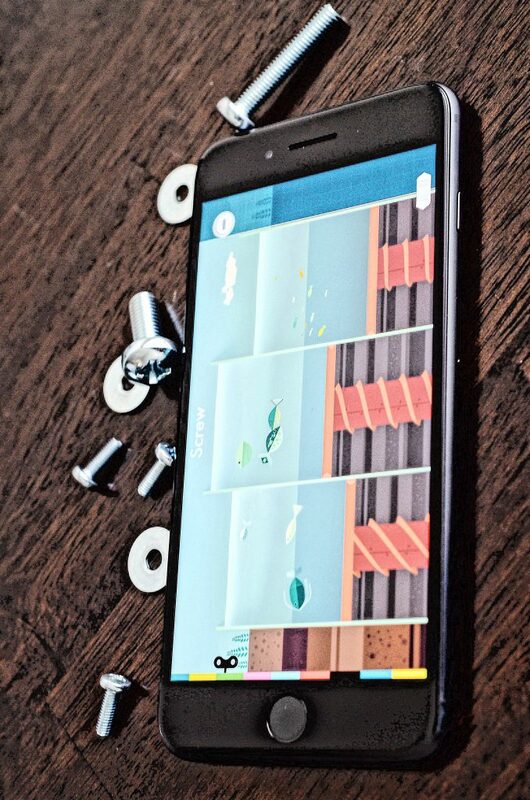 The app shows that it is easier to turn a coarse screw and difficult to turn a fine screw. The handbook provides descriptions for each simple tool and how they work. This app is supplemented with a free downloadable handbook. The handbook provides an introduction levers, screws, wedges, pulleys, inclined planes and wheels/axles. The app is a fun way to learn about physics. The handbook provides explanations of the actions taken in the app. The handbook explains the impact of changing the direction, distance and strength of a force. Also provided are numerous discussion questions to reinforce lessons learned. Why are wheels always round? (Wheel & Axle)What allows the spine to move? 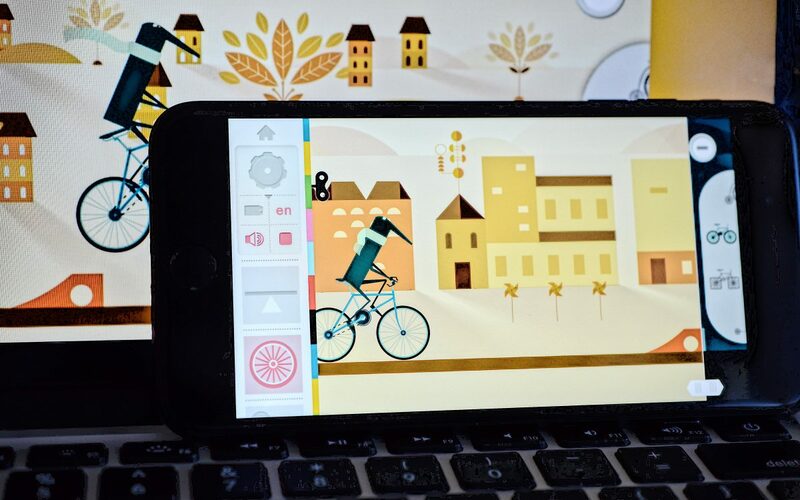 Overall this is a great interactive app with impressive animations and graphics. Kids will enjoy exploring the different tools and learning about physics. The app is available on iOS devices and can be found on the iOS App Store.